World Environmental Day is celebrated every year on 5 June and it is also a day where we mirror ourselves on the journey we have travelled in making the world a clean and habitable place. Our theme this year focuses on the rejection of single use of plastics where together, we can chart a path into cleaner and greener world. As both inhabitants and moulders of our environment we all remain with a collective responsibility from our homes, our communities and the rest of the world as role models of a cleaner world. The celebration of this very important event provides us with an opportunity not only to be self-actors but also as teachers in educating our friends and relatives in making the world in clean environment. The 2018 Theme calls on all of us to ‘Beat the Plastic Pollution’ because plastics have been and continue to be one of the greatest pollutants in our countries. As we join the rest of the World let us consider how we can make positive changes in our efforts to reduce the burden of plastic pollution to our natural places and our own areas and thus reducing the effects to nature and to the areas we live. Let us find means to reduce the use of plastics. 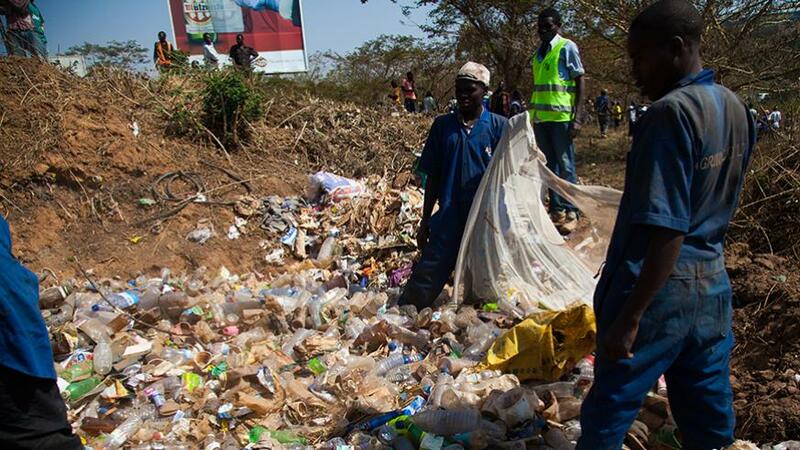 Let us also consider the consequences of unplanned and unhygienic plastic disposal. As we join the World in this commemoration let us be on the forefront of different environmental initiatives in our countries. Together we can make the world clean and habitable.